There's sugar (or it's evil cousin high fructose corn syrup) in just about everything you buy in a store. It's amazing how much sugar you see yourself taking in once you start to pay attention. I've been trying hard to fight the sugar beast. I've (almost) completely cut out soda and have cut way back on drinks like store-bought iced tea. This wasn't difficult – I 've always loved drinking water, now I just drink more. The hard part is that sugar in my morning/late morning/early afternoon coffee. Even if I use just a half-teaspoon or less, it really adds up. Artificial sweeteners are a no-go. So now I'm trying sugar replacements like Truvia and Agave in the Raw. Truvia (made form the Stevia plant) is a great substitute – but can get really pricey (I'd rather spend the extra bucks on some good K-cups!). 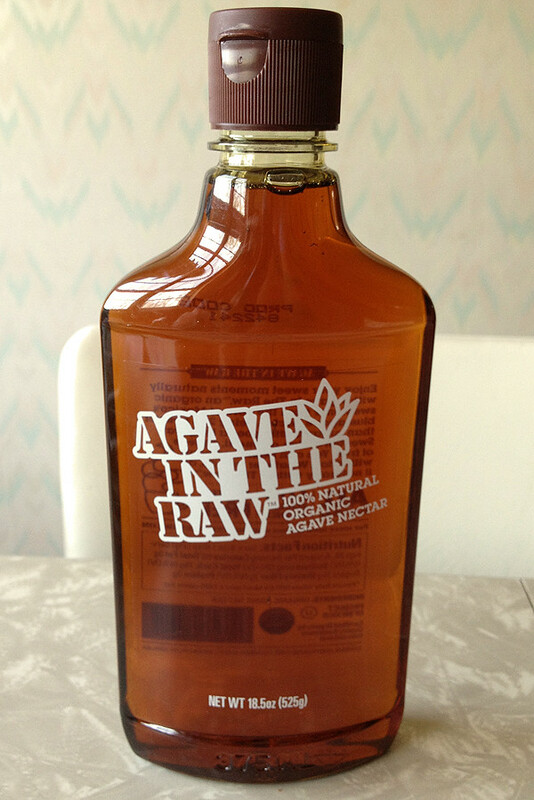 A friend turned me on to Agave in the raw as a sugar substitute. It's thick, so you can use it in place of honey (great in hot tea) or syrup (on waffles). It's also great for baking. But I actually like it in coffee. I'm particularly found fo a darker roast, which can be bitter, and the Agave cuts right through it, almost mellows it out. The best part is you don't need a lot – just a real quick squirt from the bottle and you're good to go. I haven't compared the calories, so I'm not sure if I'm cutting off my nose to spite my face, but hey, one thing at a time.